The model seen donned into this exclusive collection. Each dress is seemed to be adorned with nice and soft shades like the faun, beige, metallic silver, graphite, brown, black, blue and many others as the name tells it. 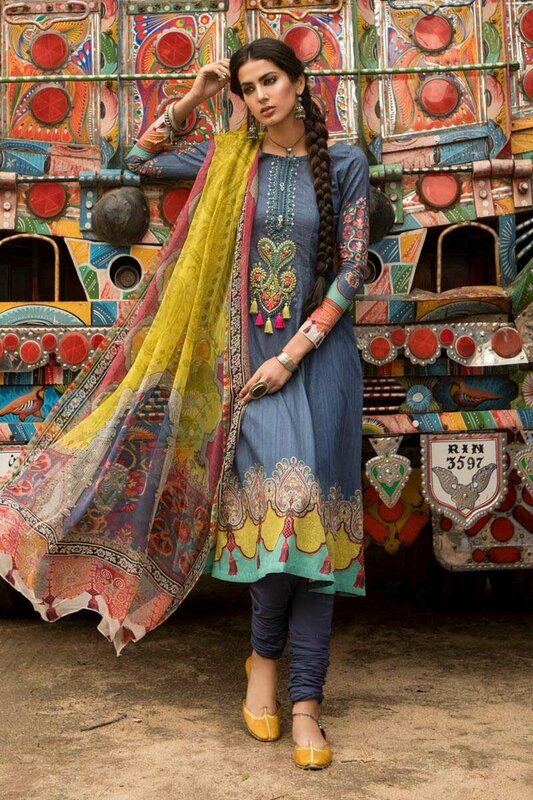 Creative with the dozens of fine thread work, these dresses are the emblem of beauty. From simple embroidered shirts with pencil trousers to the double front shirts, all are here to stun your gaze. 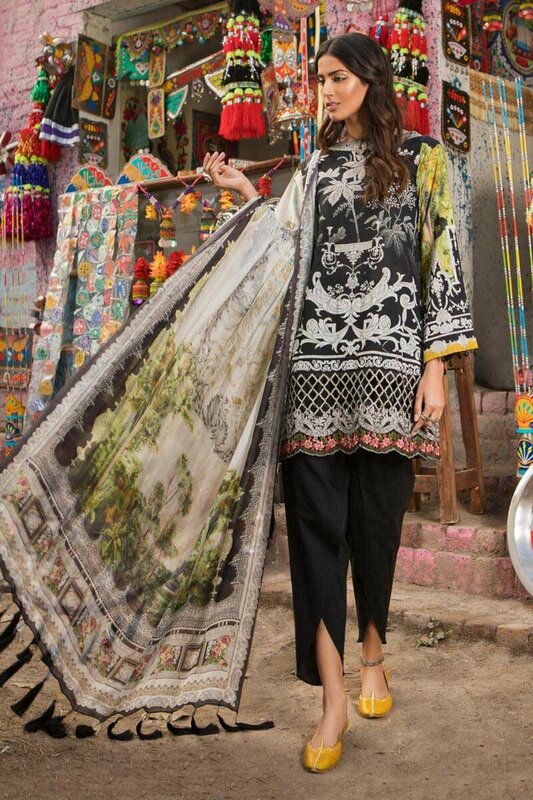 Varied in designs, M. Prints collection also available in bold black and maroon shades. 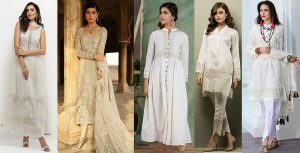 The series of white dresses are pure grace and beauty, adorned with pretty floral embroideries, sequins and thread work. 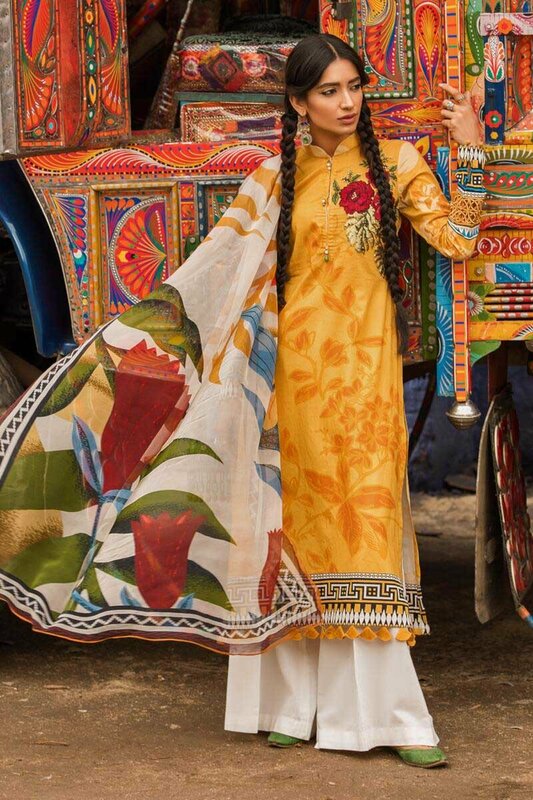 While the embroidery on shirt seems to be complementing the chiffon and silk dupatta. 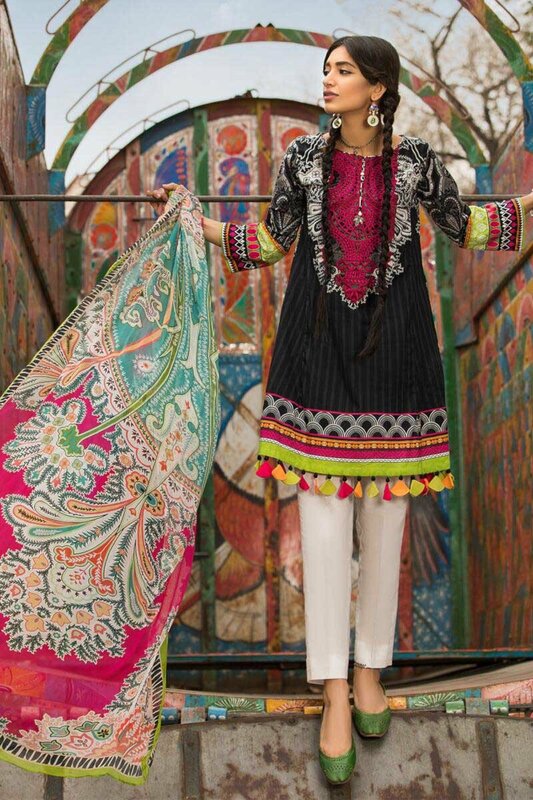 This collection is specially designed for upcoming winter and spring seasons. These dresses are embraced with beautiful laces in net and with cutworks at the borders. 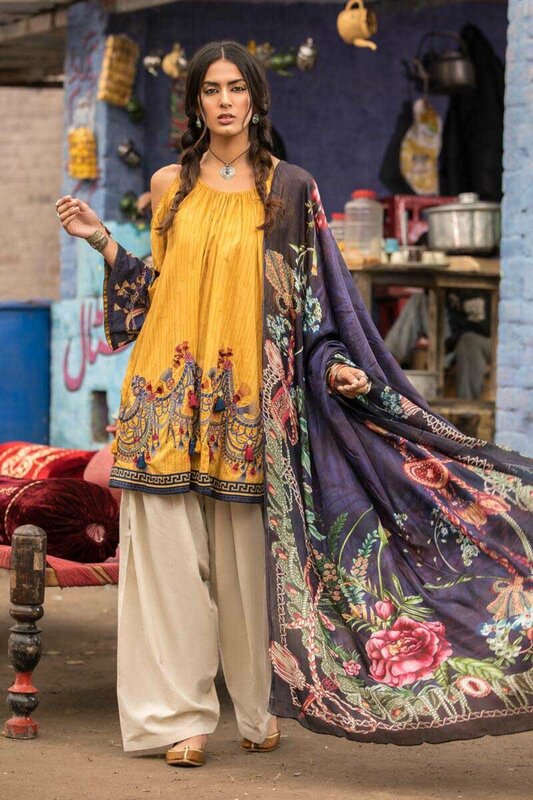 The M Prints Maria B Printed Embroidered Lawn Collection 2019 in shades of brown with embroideries in gold, purple and blue. 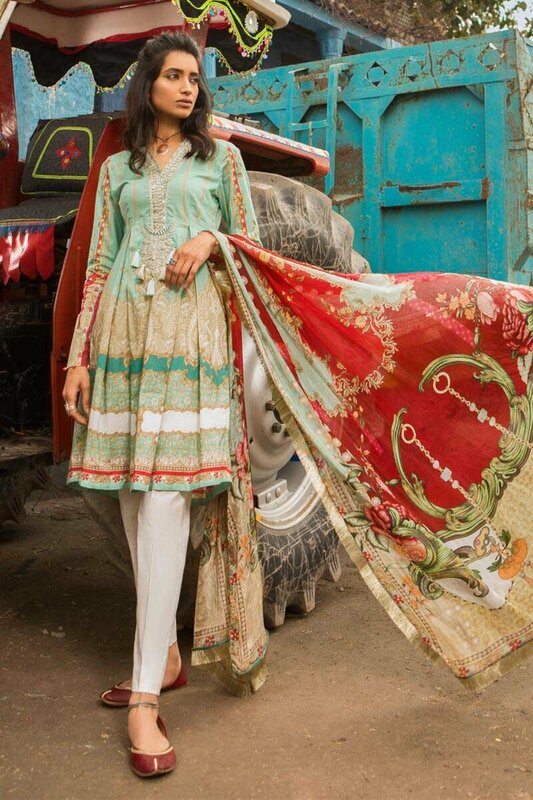 All the dresses have net dupattas with embroideries around the borders, which give the dresses an extra edge to carry them on any formal event either dinner or family party. Soft as the colors the clothes are designed with easy to wear and comfy fabrics that are a delight to every woman. The prices are so reasonable than the usual as compare to other designer collections. The assortment really meets to the standards of quality and distinctive designs. 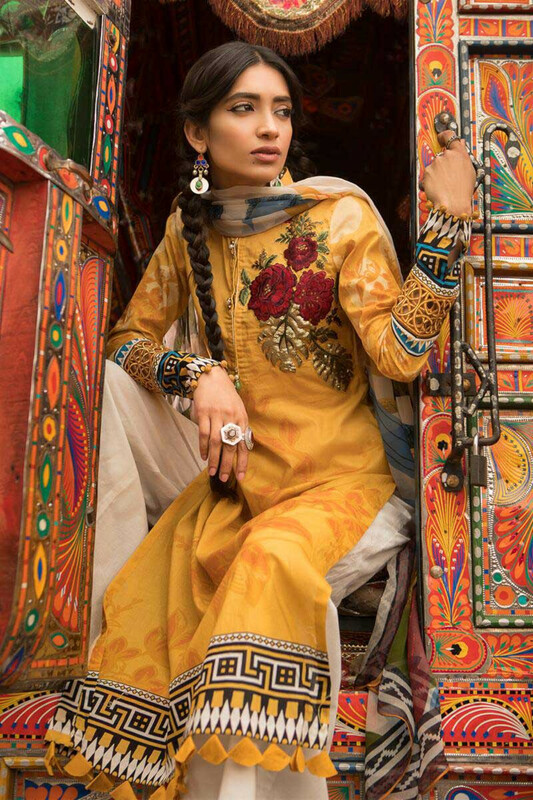 As the brand is the most popular fashion label in Pakistan, so the prints and fabric speaks for their good and excellent quality. Available from the outlets of Maria. B, these fashion apparels are going to steal the focus on every event and every walk. These outfits are perfect to wear in this hot sizzling summer season. If you have a rising urge to try some unique prints, then Maria.B M. Prints dresses collection is one that you should be looking for, in the stores. 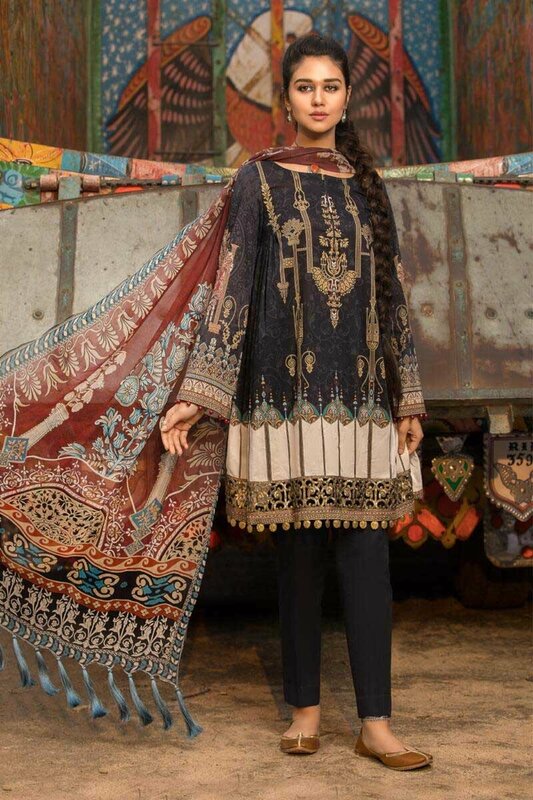 The standard of quality, hues, embroidery and use of fabrics definitely will not disappoint you.